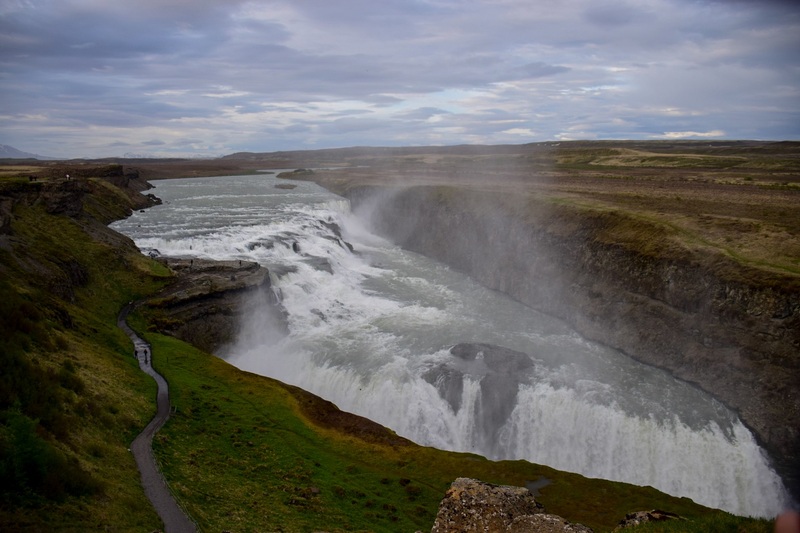 If you have just a couple of days to spend in Iceland, Golden Circle is where you should head to. 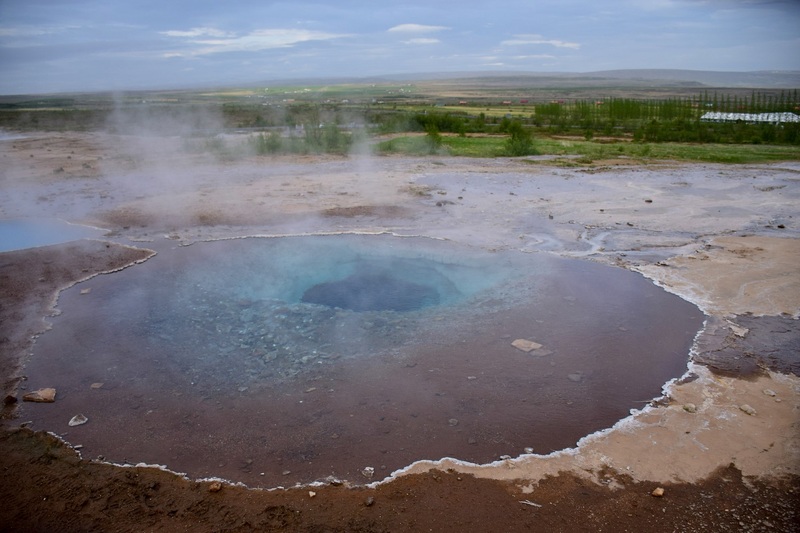 But when in the area, also worth a visit are the Seltún geothermal area & Kerið Crater lake. We covered Kerið, Seltún, Strokkur and Gullfoss on day 1 and Þingvellir on day 2. 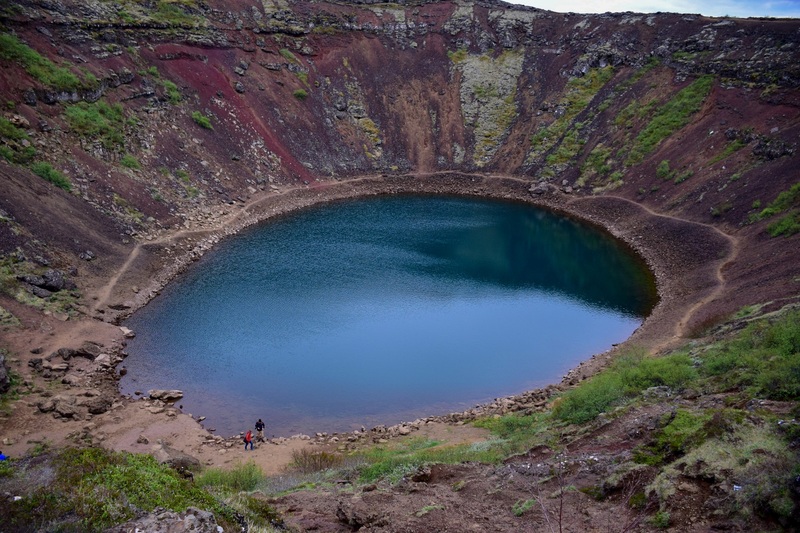 Kerið is a crater lake with an almost-circular, well preserved caldera and aquamarine waters. It isnt very high, and there is an easy climb to the rim, from where it is possible to climb down to the water level. It is a nice welcome to volcanic Iceland. 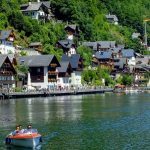 There is an entry fee charged by the land owners, as a way of controlling the number of visitors. 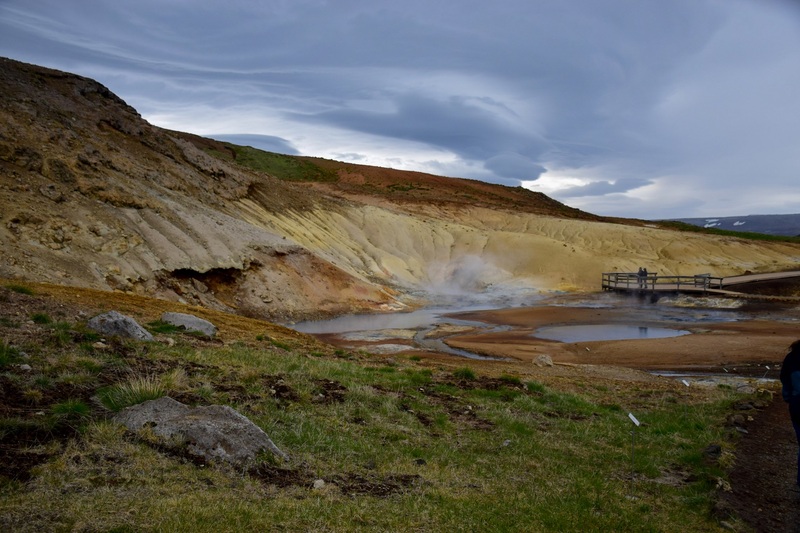 If you are starting your Iceland trip with the Golden Circle, Seltún is probably the first geothermal site you will come across. And if, like me, it is your first visit ever to a geothermal area, you will be thrilled. Seltún is very visitor friendly, with well constructed wooden walkway. The surrounding area is rendered barren by the volcanic chemicals – and the place stinks of rotten eggs. There is steam coming out of vents in the ground and hot water collects in shallow pools. The minerals from the volcanic waters leave some beautiful colors on the surrounding earth, making it fantastic backdrop for photos. While whatever you have seen so far had been great, nothing prepares you for when you first see Strokkur geyser erupt. 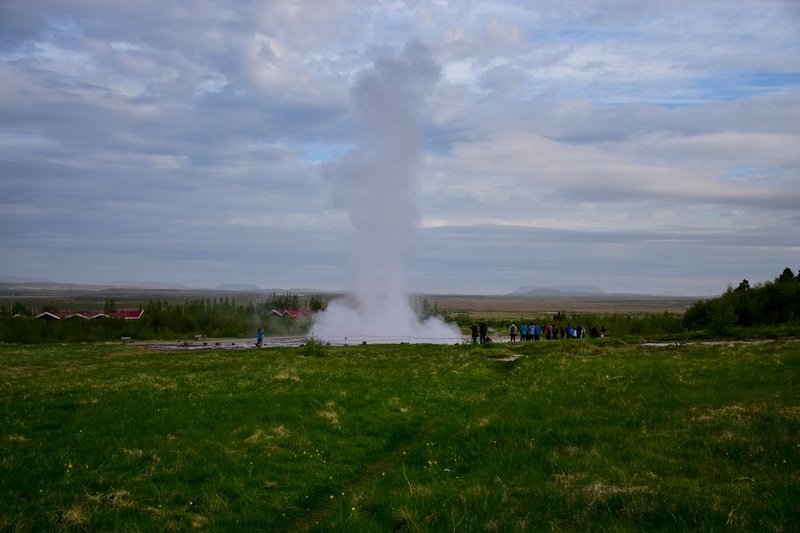 Situated next to original Geysir, which lends its name to the word geyser, Strokkur erupts regularly every 6-10 minutes, spurting boiling water and steam up to 20m in the air. The eruption is spectacular and there isnt really any other adjective fit for it. The geyser has been erupting regularly for the past 40-50 years. The original Geysir (sometimes called Great Geysir) nearby is dormant now, having last erupted in 2003. There are other small steam vents, fumaroles and hot pools scattered around the vicinity. 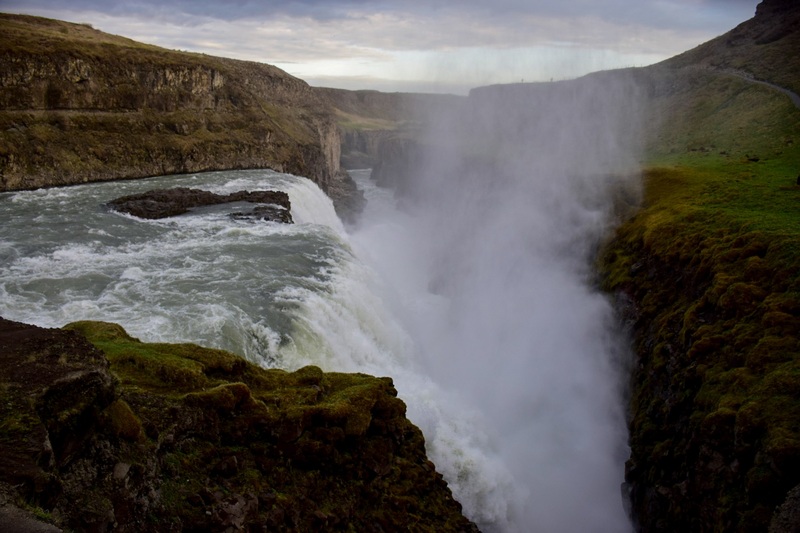 Gullfoss, the second node of the Golden Circle, is a humongous waterfall situated just 10km away from Strokkur. The waters from the Ölfusá river plunge down into a narrow canyon/precipice in the river valley, creating this magnificent waterfall. The edge isnt perpendicular to the river flow, creating a slant-edged waterfall (note the size of people on the path in the picture above, to get a scale). The last node of Iceland’s Golden Circle is Þingvellir National Park, which needs a full day visit. Þingvellir is a UNESCO World Heritage site, sitting in a rift valley between the Eurasian and North American tectonic plates. Meaning you can see where one tectonic plate ends and another begins. The park also includes Þingvallavatn, the largest fresh water lake in Iceland. It is also the site of the oldest parliament in the world, the Althing, which was first set up in 930 AD, almost 1100 yrs ago. 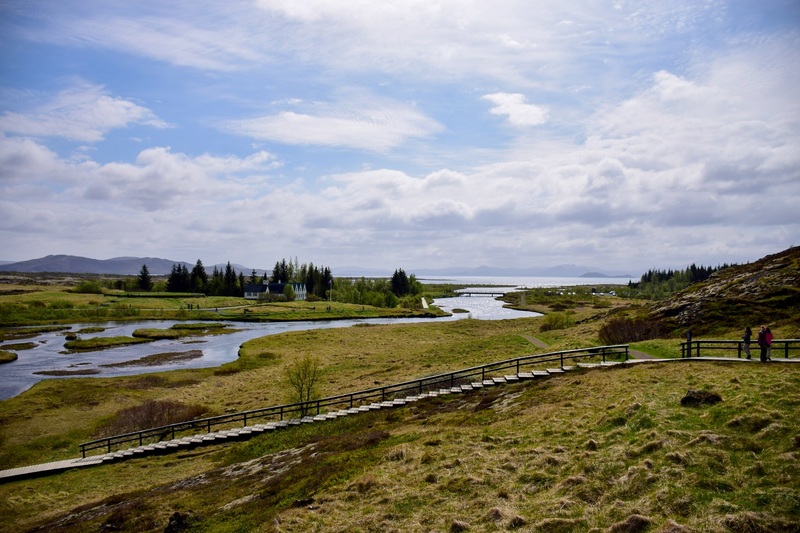 From the visitor centre, there is a beautiful vista of the rift valley, including Þingvallavatn lake. 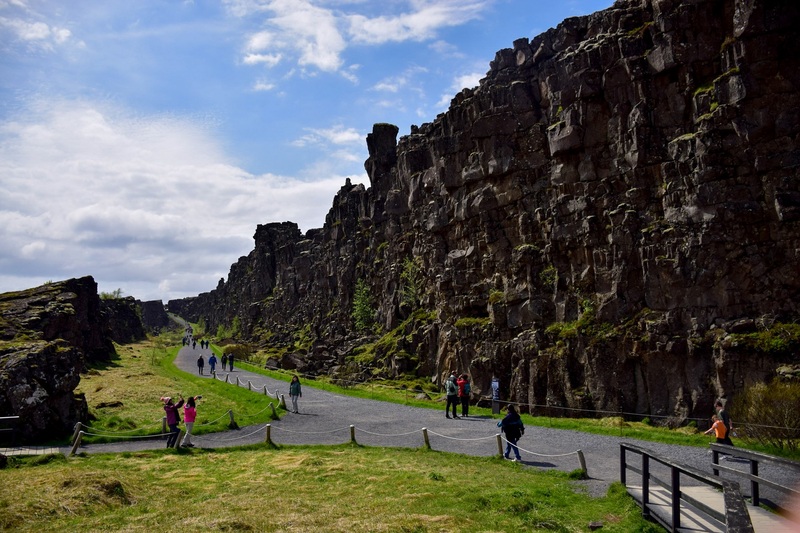 Þingvellir is to be explored on foot, so bring your walking shoes. 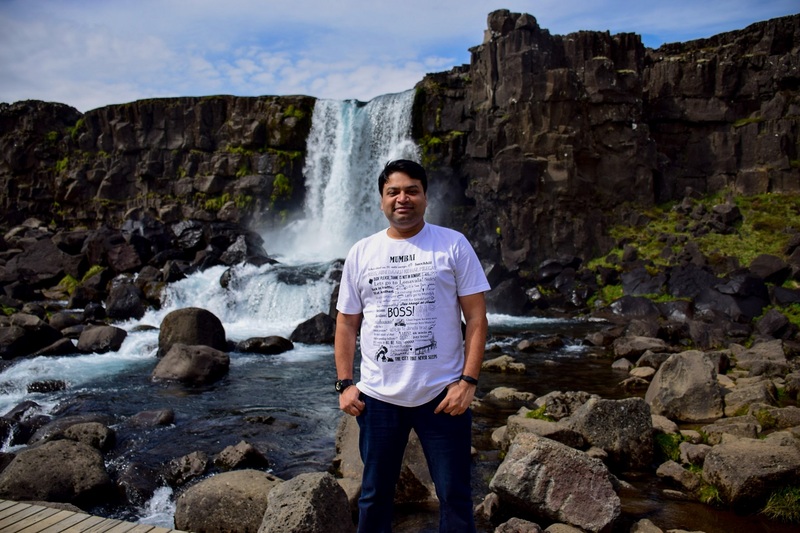 There are multiple trails leading to various destinations, like the Öxarárfoss waterfall, which is a small but picturesque waterfall. There are other lesser traveled trails, which might be a touch difficult to follow, and we happened to get lost on one such trail. Had to back track after 45 min of walking. But we were lucky to have beautiful weather, and we got some amazing views (and photos) in Þingvellir. A lot of tours end the Golden Circle tour at Blue Lagoon hot pool, which is a large commercial hot water pool (geothermal spa) with exceptionally blue colored waters. We skipped Blue Lagoon and headed towards the waterfalls of Seljalandsfoss & Skógafoss.